I am really surprised to know that very many tourists whose go to Hanoi and very like drinking the egg coffee Vietnam. Yes, of course I'd like it too. 1. "Pho co" egg coffee shop is located in 11 Hang Gai, Hanoi. Sitting in Pho Co cafe shop, you can admire the oldest roofs in Hanoi and can be disengaged to sip a egg coffee. Although this is a coffee shop which is launched latest in the egg cafes in Hanoi. However, not only Vietnamese tourists that many foreign tourists also very like characteristic flavor of egg coffee at here. The address of Phố cổ coffee shop is very near City view cafe Hanoi. Cost of a cup of coffee in Pho co shop is 35.000 VND (about 1,5$). The 2nd place I'd like to introduce to you, that is Dinh coffee shop. "Dinh Cafe" is located on the second floor of an old French mansion. To go to the restaurant, you need to step up an old wooden staircase. Egg coffee in Dinh shop is not contained in a bowl of hot water, it is contained in a tiny cup, just put in both palms. The cup of coffee for you still hot so you need to drink immediately to feel a little bitter of coffee and taste of eggs in the mouth. Giảng is one of the oldest coffee brands in Hanoi. It was founded by Nguyen Van Giang. Mr Giảng used to be a bartender in Metrophole hotel in the French colonial period. And famous egg coffee dishes here had been created from cappuccino beverages by this man when he working in Metrophole hotel at that time. 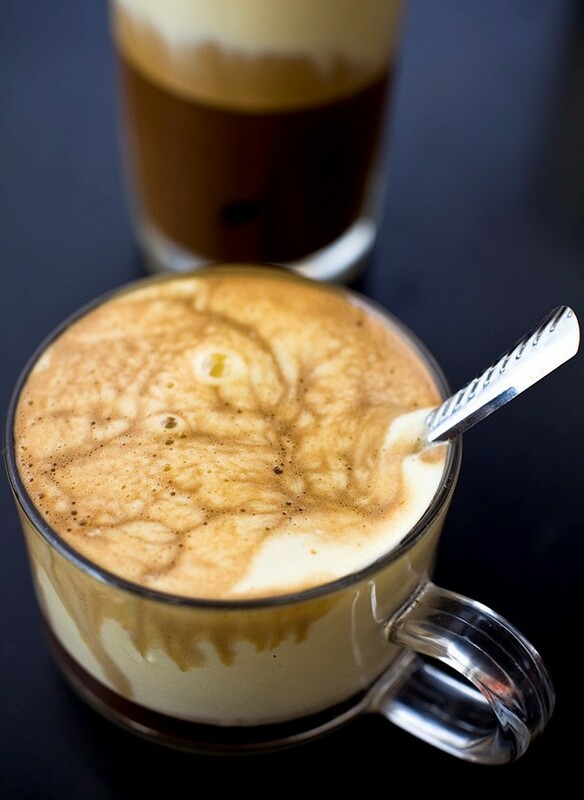 Egg coffee in Giảng shop with charming taste of coffee and egg yolks and add a little sweet cream, which have helped to create a soothing flavor, aroma, sweet. If you want to drink egg coffee at the Giảng egg coffee shop, you can come to one of two locations: 109 Yen Phu road, Tay Ho district or 39 Nguyen Huu Huan street, Hoan Kiem, Hanoi. The price of egg cafe here is also very cheap, only about 17,000 VND per a cup. If you need me to get you an advice, I think you should come to Giảng egg coffee at 39 Nguyen Huu Huan steet because this is a place which has many young Vietnamese people like most. Please note that all of the coffee shops I suggest here which are located around Hoan Kiem Lake and belong Hanoi Old Quarter .